Changelly is a cryptocurrency exchange that aims to remove the technical barriers of traditional trading platforms. In operation since 2015, the service was originally associated with the Minergate team, which we recently reviewed as well; however, today these are two different companies (according to a source inside Changelly). Changelly uses an automatic trading robot that integrates with some of the largest trading platforms, including Poloniex and Bittrex. It operates by making bids and asks on respective exchanges to suggest the best available rates on trading pairs. This is a similar service to Shapeshift, and we’ve even compared the two companies in the past. Basically, Changelly allows you to trade cryptocurrency without registering at any exchange or needing verification. Changelly offers the instant and seamless conversion of 80+ altcoins and tokens. The service already has over 700,000 customers onboard and processes over 50,000 BTC monthly. Changelly is partnered with Jaxx, Coinmarketcap, Bittrex, Coinpayments, Uquid debit card, Coinomi, and other reputable companies. 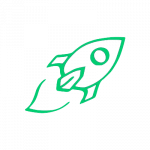 In this review, we’ll consider the features, pros, and cons Changelly offers and whether the platform suits your needs. Step 1: Decide what coins you want to change (e.g., Bitcoin to Ethereum, Litecoin to Dash, etc.). Step 2: Verify the transaction fees. Step 3: Enter your receiving address. Step 4: Confirm and pay in your chosen currency. The wide range of cryptocurrency trading pairs provided makes the platform particularly appealing. It creates an opportunity to exchange any two currencies with minimal fuss. Traditional cryptocurrency trading platforms generally have a limited selection of trading pairs, meaning that sometimes users have to make multiple transactions to receive their desired cryptocurrency. With Changelly, you can make up your own trading pairs with one transaction, letting the software take care of the trades. For example, you’re able to easily trade doge for steem in one transaction. Check out all of the cryptocurrencies on offer here. Recently, fiat currency support has been added to Changelly, with the inclusion of credit and debit card purchases. This is a welcome addition for new users, although there do seem to be teething problems during the conversion between fiat and crypto. It’s particularly important to pay attention to the fees with this feature. 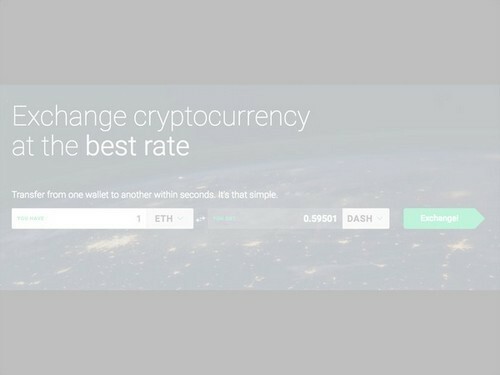 Changelly boasts about its static-rate fees as a major benefit of its service. All trades guarantee a 0.5% fee, which is fairly competitive when all said and done. However, cheaper rates are available when working directly on market trading platforms. If you’re making multiple trades to move altcoins, then Changelly may actually become a cheaper option, particularly with smaller amounts. 0% withdrawal and commissions continue to be very welcome too, so you won’t find many hidden fees. There’s a massive caveat to mention here: trades from fiat currency (i.e., dollars, euros, etc.) claim to hold the 0.5% fee, but in reality, this doesn’t appear to be true. The rates vary with this method. You’re more likely to be trading at a massive cost—up to 40% on a bad day. Changelly does warn you about the high fees, and the team claim this is out of their control. To process these transactions, Changelly needs a third-party payment service, which massively varies the rate (currently Indacoin). It’s frustrating for sure, but I guess this is proof of why cryptocurrencies have such a bold future: they allow the world to exchange assets without a third-party allowing fees to be kept minimal. There is no doubt that the whole industry is struggling to provide reliable customer service. Most companies are speculative startups that are growing their user bases exponentially. The teething problems remain noticeable everywhere, including Changelly. For the most part, Changelly seems to be doing a respectable job. Team members often reply to queries within hours, and there are many reports of problems being fixed in under 24 hours. The website is particularly clean and easy to understand, so users have a minimal learning curve to trade altcoins. An in-depth FAQ also helps you educate yourself about the ins and outs of basic cryptocurrency trades. Support is provided through an email form on the website. It would be nice to have a customer phone line, but this simply doesn’t exist on Changelly or any of its rival platforms such as Shapeshift. A maelstrom of differing reviews exists for Changelly, and this has become problematic for the platform. Bold fee claims continue to be a sore spot for customers. Many one-star reviews about expensive fiat-to-cryptocurrency trades haunt the internet. As mentioned above, Changelly claims to have 0.5% fees, but in reality, it’s a lot more expensive for USD and euro transactions. The team does provide an explanation for this unexpected expense, but users are still quick to voice their frustrations. Apart from this issue, most have a clean experience on the exchange. There’s no faffing about when it comes to validating accounts or raising trade limits. You do need to offer an email address, but it doesn’t need confirmation, so you can stay anonymous if you wish. Users who make mistakes with wallets or blockchain choices say their problems are corrected quickly when possible. There’s the odd review that indicates funds going missing or transactions becoming stuck in the system, but this is nothing new in the industry, with cryptocurrency operations still developing and overcoming tech barriers. If you’re careful to double-check the fees and your wallet addresses, it’s likely you’ll have a very smooth experience with Changelly. Conclusion: Is Changelly a Good Exchange? 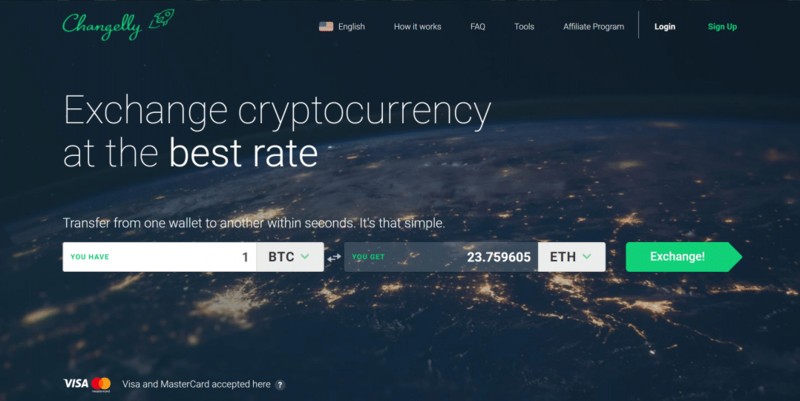 Changelly does what it says on the tin: Users can quickly and simply trade altcoins to suit their needs. A 0.5% cryptocurrency trade fee is not extortionate—it’s actually quite cheap for such a convenient product. The company itself is not as transparent as it could be. As with Minergate, its owners are not forthcoming in revealing their identities, which is always a little worrying—who will be held responsible if it all goes wrong? That being said, Changelly doesn’t hold your coins in an account as it sends funds into large exchanges before depositing straight to your chosen wallet. On a personal note, we’ve been using Changelly for almost a year now, and we haven’t experienced any issues. Whenever we did run into a technical issue, the Changelly team was quick to respond. For altcoin trades that need a clean, simple solution, Changelly is a decent choice.